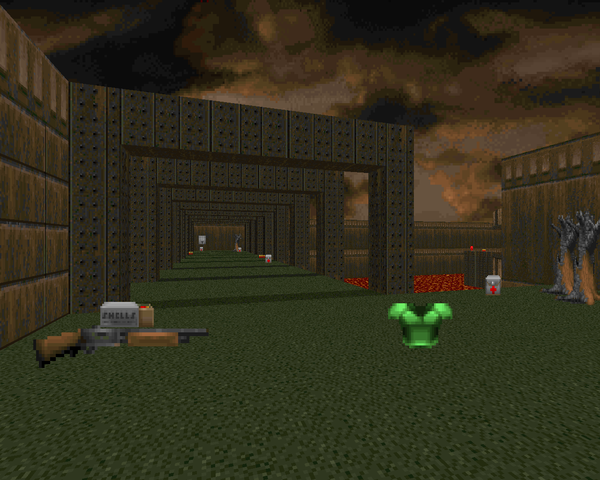 Richard Wiles began and ended his Dickie series in 1998, composed of ten maps for Doom II that form a full episode. DICKIE01 represents his first stab at mapping, posted to the archives in an attempt to gather as much feedback as possible before he rounded out the rest of the levels. Though he denigrates storytelling in the .TXT, he nonetheless felt inclined to include a little something for the people that enjoy that sort of thing. I can only assume you're some kind of superbeing, as you begin drifting in hyperspace before landing on a planet infested with Hellspawn. You find and eliminate the source at the monsters, though you're of course stuck with the inevitable clean up. 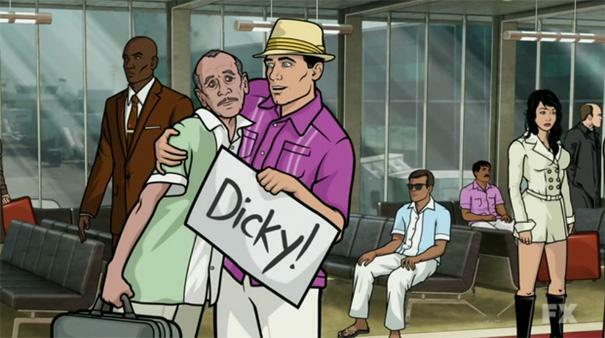 DICKIE01 is a pretty short map. It doesn't start out looking that impressive, as you're gunning down hordes of imps with the shotgun, but as you move along you start bumping into some nasty encounters. The red key trap, for instance, gives you limited real estate to deal with two hell knights (guarding a savory SSG) and a pack of imps. If you dodge off and into the lava, it's game over, but you're gonna need that combat shotgun. The furnace room is another great fight, with imps boiling out of the two fire walls while you're trying to kill the trash already running around. I'm not too fond of having to tackle the pair of revenants and the pain elemental with the single shotty, but it's not like you have much of a choice. The layout is a mix of different areas, from a brown stone molten cistern to a long, dark cave to some marble compound, which forms the bulk of the level. The architecture is eye-catching without being distracting. 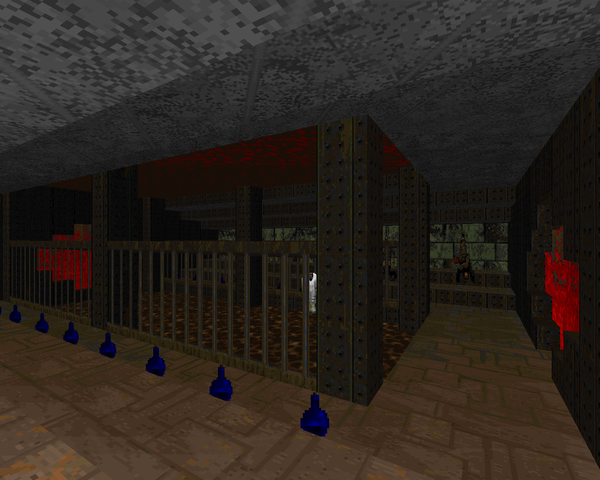 My favorite section is the furnace area, which has those neat opposing portholes. The corpses clipping into the ground is a little obvious, but Wiles also shows he's savvy enough to use the 3D bridge trick, which adds a bit of appeal. The only major texture thing I disagree with is the use of the tiling lighted grate in the crossroads segment, but it's a pretty minor quibble. The boss arena looks good, and isn't annoying unless you can't figure out how to hit the rockets in. 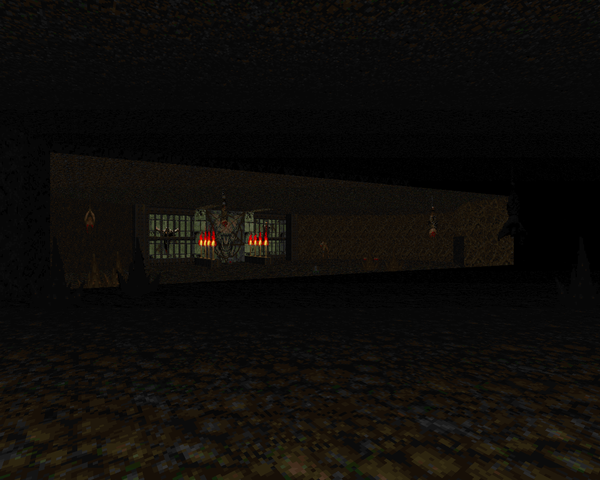 DICKIE01 is a nice little Doom II map with some big challenges. I think Wiles proves his assertions in the .TXT – that he knows what makes a good game and what doesn't. 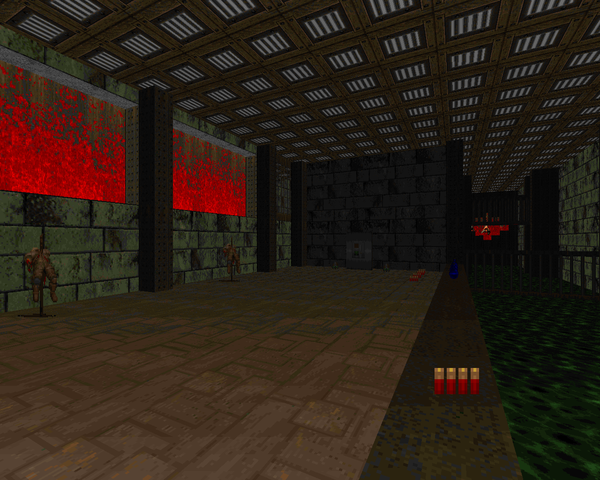 Some bits are still a little rough around the edges, like sprite clipping or a few bouts of tedious fighting, but it's a pleasant outing that I'd recommend to anyone looking for more Doom II levels to play through. I'm certainly looking forward to see how the author's talent develops and where he takes this series. Richard Wiles would eventually grow into a fantastic author and produce two of the greatest WADs ever released on /idgames. Crusades and SlayeR are both genius, top-notch efforts that you need to play when you get a chance (if you haven't already, of course). The Dickie series was also mega-sweet. All in due time. Both Crusades and SlayeR are featured in Doomworld's 100, so I'll get to those, along with NESSY. Not sure when I'll tackle his more recent Monolith stuff. Thanks for pointing to this stuff and btw for very nice blog overall! Make 4:27 max for this map tonight and shall post it to DW. No, thank you! Hope you enjoy the rest of the DICKIE maps as well.